Eddie Lundon and Gary Daly are the founder members of the band which started in Kirkby, Merseyside back in 1979. 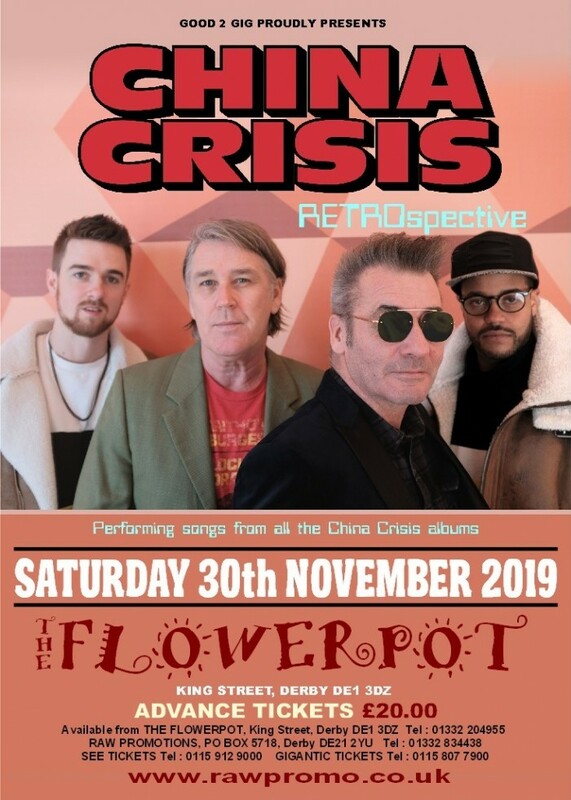 China Crisis found major success in the UK with five Top 40 singles, ten Top 50 singles and three Top 40 albums and hits across Australia, Europe and the Americas. The band are known for their string of hit singles, including African & White, Chrstian, Working with Fire and Steel, Black Man Ray and Wishful Thinking, The RETROspective tour will see the band performing these classics alongside songs from all of their seven studio albums.